The name gives it away. Megaherbs are particularly large herbs. 'Carrots', 'cabbages' and giant diasies up to 1.5 meters tall with big, colourful flowerheads and leaves the size of A3 sheets of paper. They are only found on a handful of islands south of New Zealand in the middle of the Southern Ocean, in a zone between the temperate and the Antarctic. The sub-Antarctic. Here, extreme temperatures are not the main problem: rather, the near-constant wind, rain cool temperatures and general cloudiness make it challenging for both the plants and their pollinators. Pleurophyllum hookeri growing next to the boardwalk on Campbell Island. Botanists use the term 'herbaceous' or simply 'herbs' to refer to plants which don't have a woody stem. Normally, of course, herbs are quite small. 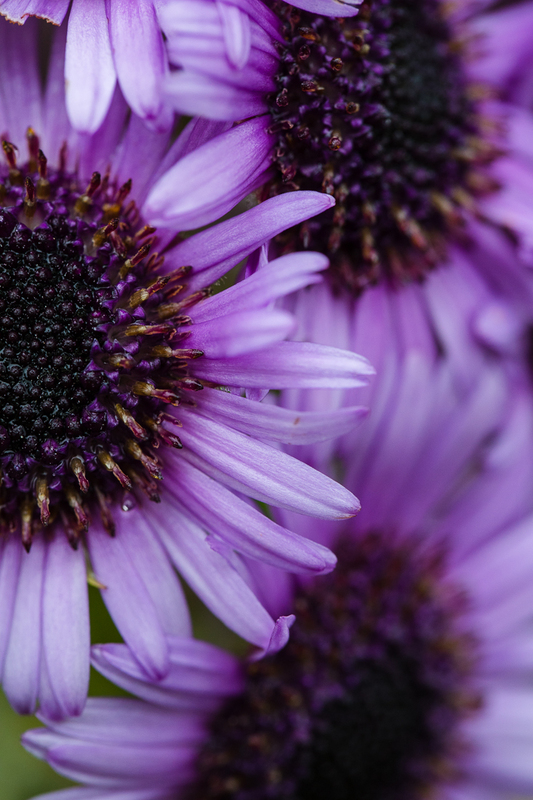 Think of your basil plant, the orchid on your windowsill, or the daisy in your front yard. So why would herbs, which are growing in an incredibly rough environment like the sub-Antarctic Campbell and Auckland Islands, need to grow so big? And why these herbs in particular, given that most sub-Antarctic flora (and high-latitude or high altitude flora in general) is quite small? And why are the flowers so large and brightly coloured? Can they be attracting any pollinators in such a harsh environment? A recent study by Little and others suggested that many unusual features of megaherbs may in fact provide thermal benefits. For example, the large, ribbed or hairy leaves may act to increase leaf temperature by increasing the boundary layers (hairs) or reflecting long wave radiation back on to the leaves (ribbing). Similarly, the inflorescences of some of the megaherbs feature large, darkly coloured flowers which may also act to absorb sunlight. In one species, Pleurophyllum speciosum, this warming was particularly pronounced, with leaves and flowers 9.8° C and 11.8° C warmer than ambient air temperatures respectively. This increased warmth may help improve plant metabolic processes, thus helping the plant grow. The authors suggest these features may enable megaherbs to make the most of short and unpredictable bursts of sunshine between cloudy or rainy periods. 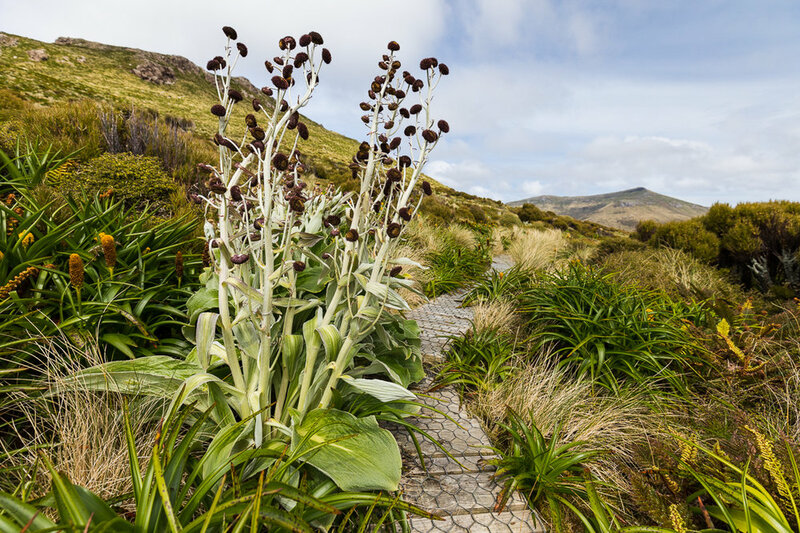 The authors also point out that the sub-Antarctic megaherbs share many similar features with plants from tropical alpine regions, which experience similar temperature and weather conditions. Fields of Pleurophyllum hookeri flowers, Campbell Island. Many naturalists have also questioned the bright colour of the megaherb flowers. Colourful flowers are often used a signals to attract pollinators, but what pollinates these flowers? Bees and butterflies are absent from the sub-Antarctic because of the cold temperatures. Flies are present, but flies in general have poor colour vision and probably can't distinguish many of the colours. Alternatively, they might rely on wind pollination but again this would not explain the bright colours. It is possible that the colourful flowers are not useful in attracting pollinators directly, but the darker colours might allow the flower to heat up quickly, thus attracting flies and other insects by providing heat benefits. Impressively large inflorescences of the Campbell Island Carrot, Anisotome latifolia. Deep pink flowerheads of Anisotome latifolia on Campbell Island. Each flowerhead is composed of thousands of tiny white or pink flowers. A recent paper also found surprising evidence that a nocturnal weta, a kind of cricket-like insect with long hind legs, may be involved in pollination of Anisotome latifolia and Bulbinella rossii. The authors also observed plenty of visitation from various flies and moths. Clearly there is much more to be understood about pollination in this enigmatic plants...anyone interested? Walking through fields of Stilbocarpa polaris on Enderby Island. Other than being famous as botanical curiosities, some of the megaherbs make good eating. Several species were particularly palatable to sheep, and suffered badly when sheep were grazed on Campbell Island in the 19th and 20th centuries. The sheep were removed by the end of the 1980s and subsequently many of the megaherbs have quickly recovered. 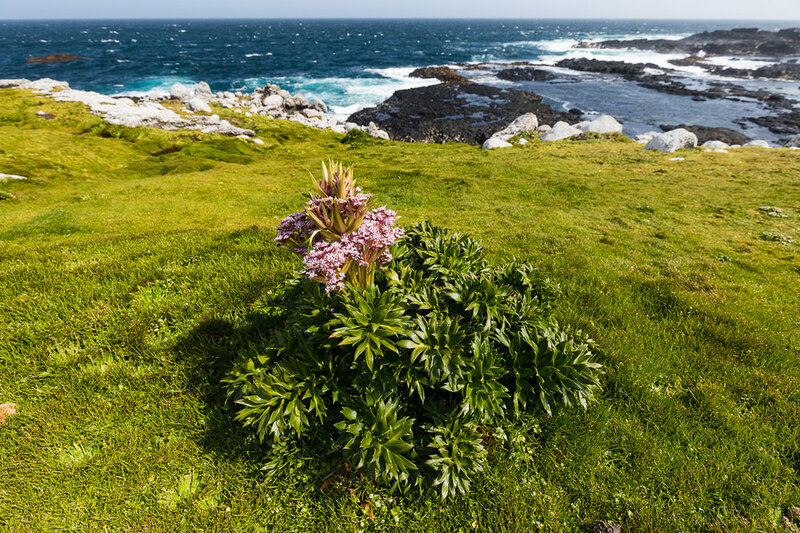 The Macquarie Island Cabbage, Stilbocarpa polaris, is confusingly not restricted to Macquarie Island and is not a cabbage. However, the leaves and roots are edible; the roots are said to taste like sugary turnip. Early sealers or shipwrecked sailors marooned on the islands would use the roots as an effective cure for scurvy by chopping them up and cooking them in a kind of stew or broth. Exposed roots of Stilbocarpa polaris, Enderby Island. "corned beef and an herb that grows here which we call cabbage, potatoes, elephant (seal) tongue, curried parakeets, penguins' tongues, hearts and livers, which are first rate, preserved meat, a roly-poly made of blackcurrant jam". Ross' Lily, Bulbinella rossii, growing next to the boardwalk on Campbell Island. The large and very different leaves of the four megaherbs common on Campbell Island: Bulbinella rossii, Anisotome latifolia, Pleurophyllum speciosum and Pleurophyllum hookeri. BTM Cox, and KC Burns (2017) Convergent evolution of gigantism in the flora of an isolated archipelago, Evolutionary Ecology 31.5 741-752.